An orphaned teen with the ability to transform into a vicious whirlwind latches on to Ryan and the companions as they travel through former North Dakota. Her deadly power seems like a boon at first, until it starts to control her. When threatened, she destroys everything in her path…including those she loves. Then a group of outcast fighters kidnaps the young woman and manipulates her -- and her terrifying mutation -- for their own destructive agenda. With the vortex unleashed, the companions face a tough decision: chill the orphan or perish in her violent wake. Since the nukecaust, the American dream has been reduced to a daily fight for survival. 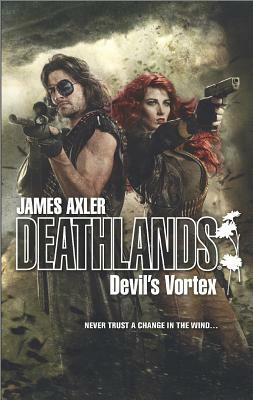 In the hellish landscape of Deathlands, few dare to dream of a better tomorrow. But Ryan Cawdor and his companions press on, driven by the need for a future less treacherous than the present.